Home > Visa Application > How To Apply For An Indian Visa From UK? How To Apply For An Indian Visa From UK? If you are planning a travel to India, it is best suggested to book your tickets after obtaining visa appropriate to your requirement. For all types of visa including tourist visa, student visa, transit visa, employment visa and journalist visa, you need to send in your application online. Here is how you go about applying for an Indian visa in UK. Know the visa type you require based on the reason for visiting India. After filling in the application online, download it and print all the forms as well as the document checklist related to the visa category. 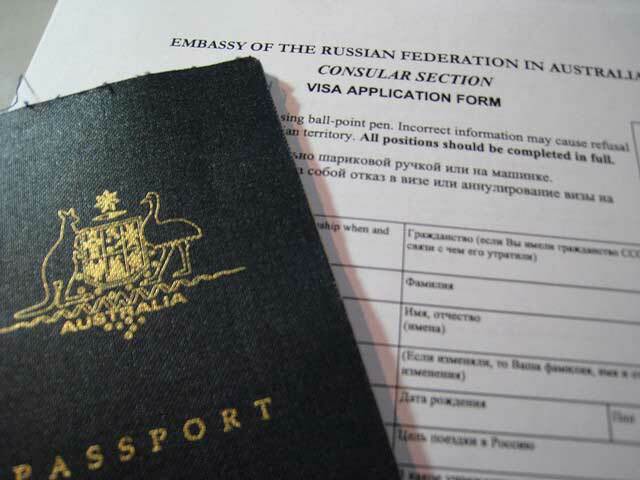 The requirements vary based on the type of visa for which you apply. Along with your visa application form, you need to sign the Declaration Form. Check out for the fees you need to pay for the visa. Sign in all the indicated places in the forms. While affixing your photos, ensure that they correspond with the new photo specifications. Now, go through the checklist to make sure that you have on hand the supporting documents to help with the processing of your visa. You can submit your visa application in person at the India Visa Application Centres or you can post it to the centralised postal processing centre. You need to submit your passport along with the application. You can track your application online. Your can expect your passport to be returned in 2-3 days. You have the option to choose the mode of delivery of your passport. Once you have your application ready for submission, you may seek an appointment to make submission in person. This would help to reduce the waiting time. However, it is optional and you can submit your visa application without prior appointment, only you may have to wait longer. Indian visa application form duly filled and signed. Original, signed United Kingdom passport, which is valid for at least another 6 months. Multiple Entry Letter and Itinerary – In case you require multiple entries, you need to attach a letter that explains why you require a multiple entry visa. You need to enclose detailed itinerary and confirmed tickets for travel. Business letter – Original letter from UK company duly signed to explain the purpose of visit and the duration. Business invitation – Business invitation letter from the company that sponsors your visit to India. The printed letter on the company’s letterhead should be addressed to ‘The Indian High Commission in London’. The letter should carry the signature of a senior level manager. The letter should have an introduction on the applicant, relate the nature of business for which his visit is required with specifications on the type of visa and the desired validity period of visa. Letter of admission – The admission letter should state the course duration. Letter from school/college – The letter should confirm the student’s attendance and state the dates of travel to pursue overseas education. Bank statement – copy of recent bank statement that reflects funds available. Invitation letter – Copy of the invitation letter along with a copy of the passport and visa of the sender of the invitation. Copy of the employment contract with signatures from both the parties. Agreement on income tax payment in India has to be attached as well. Registration papers of the employment company to ensure that the company is registered with Indian authorities. An undertaking that states that your travel is to shoot a film or research the mentioned documentary and that you will not undertake any other filming projects or work. List of the equipments you take with you on your visit to India. Additional documents required – Invitation letter from the organizer, letter from the institute in UK, which the applicant represents, copy of the event clearance document and proof of political clearance from External Affairs Ministry in India.